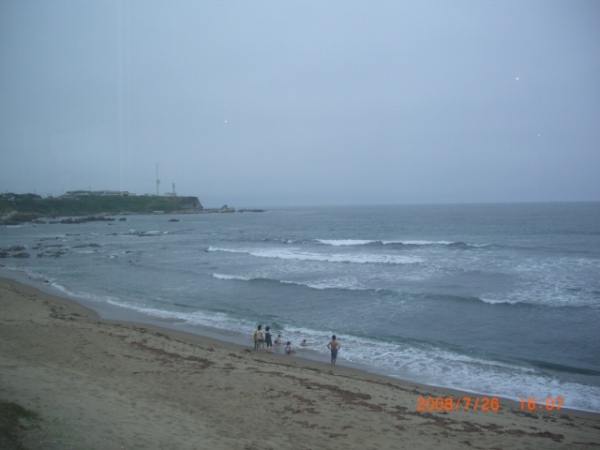 This is sea which is in Choushi-city,Chiba Prefecture,Japan. That is, it is Pacific Ocean. It is Inubosaki that you can see at first. I took this short movie near hotel. I went back to my hometown with my family. We stayed there three days and two nights. I had been getting enough sleep. Last Saturday, we relaxed in a hot spring bath at the hotel near the sea. This is a photograph which I took at the hotel. A severe earthquake struck Iwate Prefecture at 0:26 a.m. on July 24th. My condominium building shook during the earthquake. I sometimes watch NHK educational channel to study English. It is only one or two times per week. Today, I learned some sentences. For example, I show it below. "I know of him, but I don't know him." In this case, to put it briefly, it mean I am not friendly relationship with him. Long ago, I had been skiing. 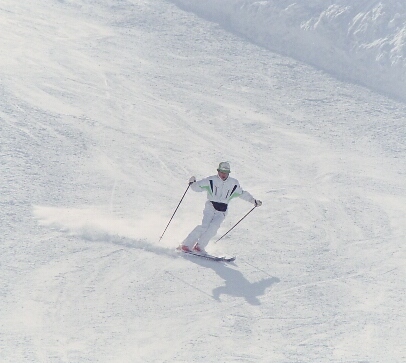 When I was eleven years old, I began skiing with my father's influence. My wife had been skiing, too. However my son has never tried skiing. When I have been junior year, I had been concert master of mandolin orchestra. I had been playing original music of Germany, Italy and so on. Moreover, I had been concert master between 1992 and 1996. I have liked original music of Japanese at that time. I had been very happy not only music but also people-to-people exchange. I have sent E-mail to man who is in Germany. He came to Japan for our job one month ago. I'll never forget seeing him in Japan. I was very happy to drink sake. I read Japan's internet news yesterday. Some people burned themselves a little by low-temperature of their cellular phone. It seems that it generated heat even if there was no defect of the cellular phone. It is said that the day's temperature was 38 degrees! Though I think it's natural event, it's danger a little. 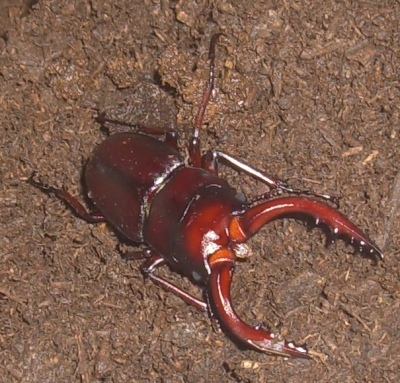 This is a newly-emerged sawtoothed stag beetle. Game "DENSYA DE Go! 2"
Basically, I am not playing PC game. But, I sometimes play it. I bought train game which name is "DENSYA DE Go! 2" for my son last Sunday. I am pleased with the game a little. These short movie are my home's sea fish and coral. I feel every fishes enjoy swimming. The selected player of football Olympic was decided. Some players are Japanese National team members, too. The side player is good! I hope to do your best to FW players. 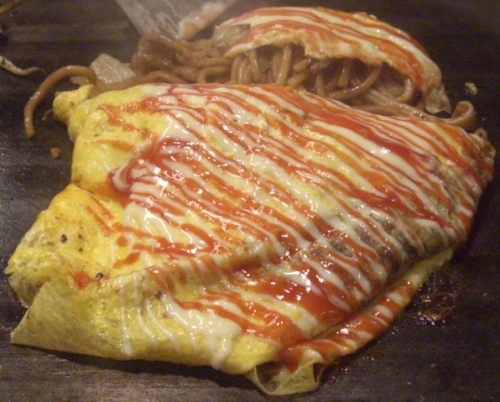 I went to Okonomiyaki shop in Yokohama with my wife and son. We ate some kind of fried noodles etc. 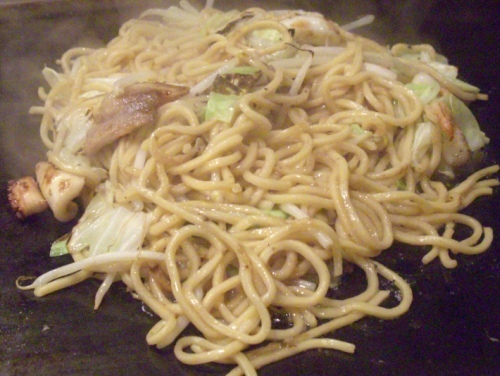 One of fried noodles was salty taste. It was delicious better than my expectation. My son ate fried noodle of omelet. I'm going to Hakone with my family in this summer vacation. We have been going to Hakone one time per year. Hakone is very beautiful mountain. I like Hakone very much! Today, sea fish shop was 30% OFF. Of course! I went to the shop. I bought two kind of goby. I went to Tsukiji in Tokyo last Tuesday. And I ate chirashi sushi. However I had never eaten sushi at Tsukiji. Tsukiji market is largest fish market in Japan. He is elementary school student. The elementary school is near our condominium. I like football and Japanese team very much. I went to Nissan stadium on 2nd June. The game was Japan versus Oman. As for the game's result, Japan won at 3-0. Nakazawa, Syunsuke Nakamura, and Okubo scored a goal! I link short video that takes only 6 seconds. It is Nakazawa's goal by his head. As far as I know, I think he is best DF player in Japan now. I went to Ishigaki island in Okinawa Prefecture on May 7th-10th. This is the short video which I took with my digital camera. I found an anemone fish(Nemo) and a see anemone, and was very happy then. My hobby is to breed many fishes and coral. There are anemone fish(Nemo),sea anemone and so on in my home's water tank. I went to bar to drink "Japanese sake" with two men last Friday. One man was Japanese, another man was foreigner. He came from Japan from Germany for working with us. He liked Hakkaisan very much which is one of Japanese sake. And we had drunk a lot. Though I can not speak English well, I spoke with him as much as possible. As a result I had spent very happy time. And I thought I must learn English hard in order to communicate with foreigners. I used taxi to go back home. When I arrived at my home, it was 4 o'clock. I live in Yokohama,Japan together with wife and son. I am engineer. I have been working as company employee after educate university. It takes me about 40 minutes to go to my office from my home. It is difficult to continue for me, if there is not a reason. And, I want to be able to communicate with foreigner as much as possible.